From February 12 to 13, 2018 Trinidad & Tobago’s (T&T) internal security apparatus was assisted by the United States Southern Command (SOUTHCOM) personnel to interrupt a potential terrorist attack, slated for the Twin Island Republic’s popular Carnival festivities. Members of T&T’s intelligence community collaborated with the Police Service, Defence Force and American counterparts to intercept and detain four “high value targets,” masterminds of the terror plot. T&T’s American Embassy and British Foreign Office immediately issued travel advisories. In 2017 the US Navy Admiral in charge of SOUTHCOM publicly alerted that Trinidadians were identified on 2016 video engaged in terrorist activity, beheadings and murders in Syria. The Global Terrorism Index ranks T&T eighty-ninth country worldwide. In October 2017 the Soufan Group verified Trinidadian participation in terrorism, tracking one hundred and thirty Twin Island state nationals to Syria and Iraq to enlist as foreign fighters with the Islamic State. On November 1, 2017 T&T’s government implemented a national counterterrorism strategy. CARICOM intelligence data pinpointed IS networks across T&T in the Aranjuez, Charlieville, Enterprise and Rio Claro communities. The T&T Police Service’s Carnival 2018 terror plot investigations detained fifteen nationals including a husband and wife. The group was subsequently released. 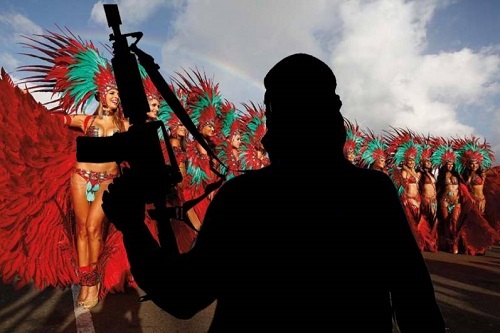 The T&T converts’ courtship with IS began in 2012, when the caliphate expansion thrived and big cash payouts were offered to international recruits. According to the Republic’s Ministry of National Security several local Islamic State devotees have criminal records. Some are transformed Afro-Trinidadian Muslims, whose ideology is centered on a radical interpretation of Sunni Islam. Their mantra focused on extreme fringes of pan-African nationalism, Black power and identity politics, mixed with Islamic rhetoric and symbolism. Trinidadian recruits find solace in radical Islam’s websites, social media and the call to jihad. Intelligence reports documented names of twenty IS recruits who underwent two weeks orientation at a Rio Claro mosque, fifty miles southeast of the capital Port of Spain, prior to middle eastern trips. The T&T’s Police Service Intelligence Section operates systems that monitor terrorist movements and follow suspicious money. 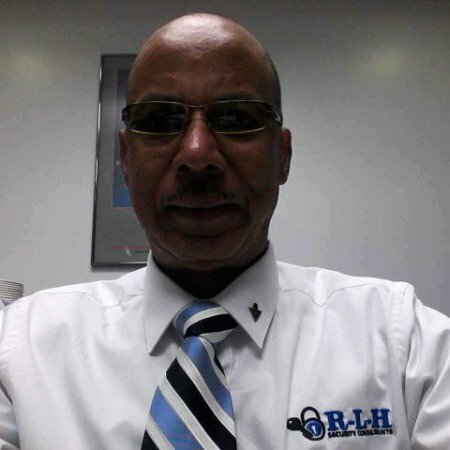 Director of the Strategic Services Agency (SSA) commands all resources originally assigned to the Security Intelligence Agency (SIA) and defunct Special Anti-Crime Unit of T&T (SAUTT). Per capita, T&T registered the largest number of IS foreign fighters originating from the Western Hemisphere. Trinidadian converts speak English that qualifies them for senior ranks. Island born foreign fighters are also use as “poster boys” by IS’ online propaganda machinery to promote jihad in the Caribbean.